December Daily time is upon us. Are you playing along? Given, I did not know what December Daily was until this year but now that I do I'm in. All in. 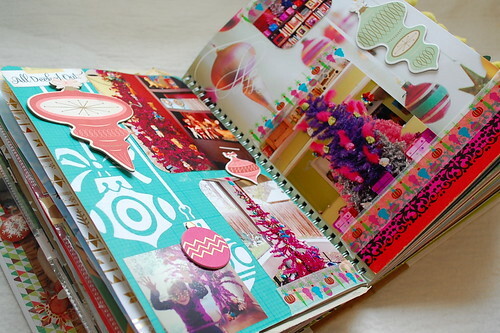 So much in that I can't even close my Smashbook. 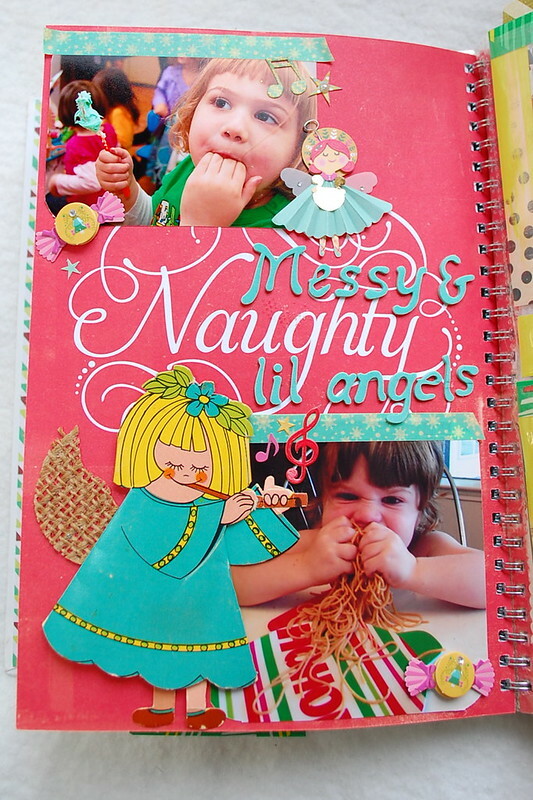 Today I'm sharing a sneak peek into my December Daily journal right here on the I Love to Create blog, on my own blog Naughty Secretary Club and over on BlogHer where I wrote a post about adding vintage Christmas cards to your December Daily journal. 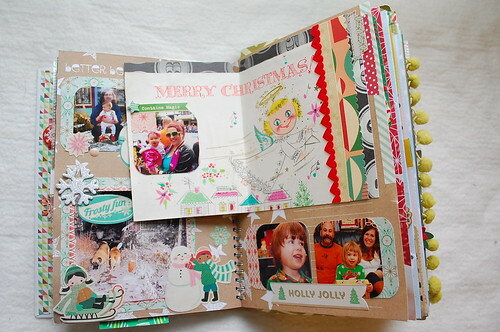 Over on BlogHer I talked about using vintage Christmas cards. 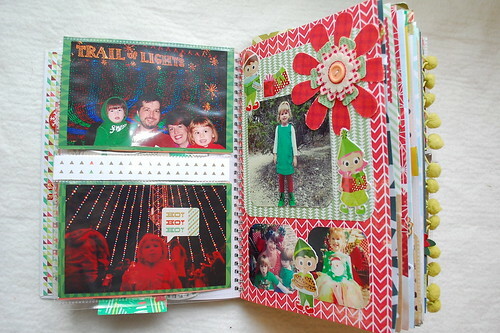 I love the added dimension cards give my journal, not to mention extra pages for pictures. I don't always use vintage cards, sometimes I make my own from card stock. 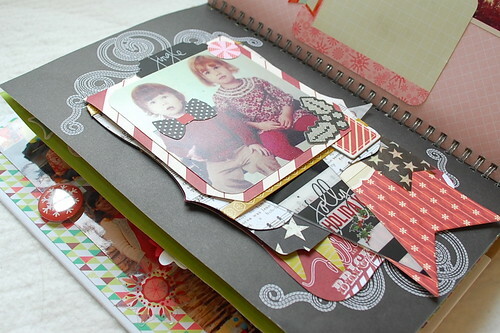 Speaking of dimension, there are oodles of way you can add it in to your scrapbook layouts. Puffy letter stickers like Thickers are a great way to add the date or location. 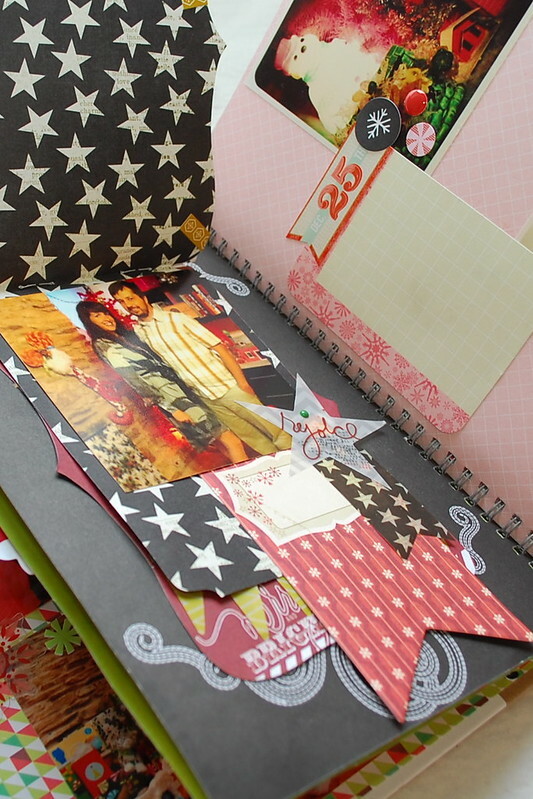 Chipboard adds nice texture and goes on great with Tacky Dot. Trims, ribbons and ball fringe calls for a heavier glue like Tacky Glue. 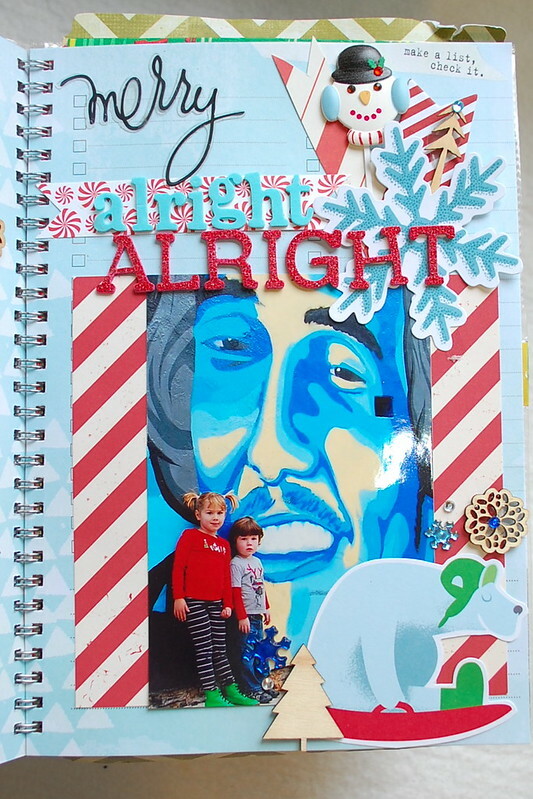 There is no right or wrong way to do December Daily. 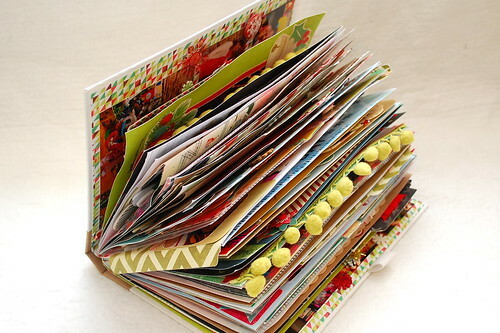 I think typically people do a book for each year. Since this is my first attempt at December Daily I went ahead and included the last 40(ish) years. When I go back and journal I will add in all the exact dates and such. 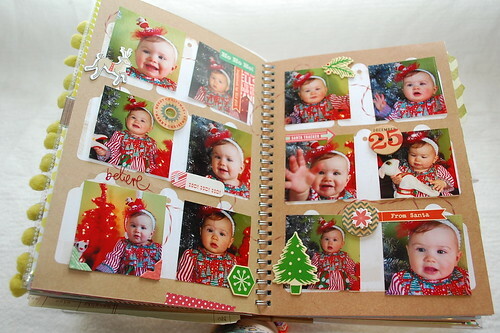 I know what I am asking Santa for, a stocking full of various acid free Tacky Glues for my Smashbook. Howdy! I’m Jennifer Perkins, but you can call me Jen. I’m an Austin based mama, crafter, blogger and thrift-a-holic.